Ljubljana is a perfect example of how a small to mid-sized city can punch well above its weight. It has harnessed and enhanced its natural assets (location, food and drink, history, culture, its people, etc) and packaged them in a unique brand and identity, and has rapidly built awareness of this despite being a very new capital city. Its selection as European Green Capital for 2016 was a remarkable coup given its competition included well-established exemplar cities in this field including Copenhagen! It is easy to forget that a generation ago, Ljubljana was part of a socialist society derived from the command economy, and not a capital city. Citizen mindsets have completely transformed over the past decade, and in many ways. A new era of entrepreneurship has been fostered: capitalist, but one where the value of human capital and wellbeing is at its heart, not simply the creation of wealth at any cost. Other shifts in behaviours the city has achieved are also remarkable, given the timescales – for example moving away from private cars to walking/cycling/public transport. Ljubljana has been blessed with a beautiful natural environ. It has worked hard to maximise the benefits of its blue and green infrastructure whilst protecting it from development or overuse. Yet the city has also managed to simultaneously create a city that is full of life – vibrant, friendly and safe. It dedicates 11 per cent of its budget to arts and culture, and ensures 70 per cent of events are free to attend. This is not always an easy balance to achieve, but Ljubljana is an exemplar in this respect. The city only became a European capital in 1991, and had had no real history of authoritative governance. The current mayor had brought his private sector negotiating expertise, openness and skills in collective team-building to build a collaborative ethos of ‘just do it’. His generosity in sharing credit for the city’s remarkable achievements over the past decade with his team was refreshing and inspiring, and clearly filtered down through the management layers as there was an incredible unity of commitment and contentment in everyone we met. The city has transformed its physical environment and citizen behaviours radically in terms of sustainability. The policies that saw the city being awarded European Green Capital for 2016 are reflected throughout – from its clean, fresh and relaxing traffic-free centre; extensive urban gardening; electric/hybrid vehicles; the 40,000 additional trees planted and soakways created during the past decade; digital-driven flood resilience. No resident is more than a 15 minute walk from permanent greenspace, and there is 560 sq m of green space per person. The city is also exploiting this new expertise, and is cultivating a powerful new economic sector around leading-edge bio- and clean-technologies. Ljubljana is the capital of Slovenia, a nation that only came into existence in 1991 after the break-up of the former Socialist Federal Republic of Yugoslavia. It sits at a true European crossroads in the ‘Ljubljana Gap’ – a pass between the Italian and Austrian Alps to the west and north and the Karst Mountains to the east – less than an hour from the Adriatic Sea. As such it is also a gateway to the Balkan region of south eastern Europe and to the north east, the central European Pannonian Plain stretching from Hungary all the way to Ukraine and Romania. It is around 200 miles from Vienna, Venice and Budapest – all seats of immense power at various times during the last millennium. This morphology and strategic location made it a major trading destination, which in turn has significantly influenced Ljubljana’s culture – food and drink, music, art, etc. There are traces of several successive civilisations in what is now Ljubljana from 2000 BC, notably in the marshes to the south, which are now a UNESCO World Heritage Site. The excellent City Museum houses the world’s oldest known wheel from this location, dated as 5,200 years old. At around 50 BC the Romans built a military encampment close to the river and what is now Castle Hill, which later became the city of Emona with a population of around 6,000. Its location made it important during several battles. The decline of the Roman Empire led to successive waves of occupiers and raids. Little is known of the city in the Middle Ages until the House of Habsburg, and then the Venetian Republic took control in the 13th century until the 19th century. During the time the city became a thriving crafts centre, trading post and renowned centre of education. A major earthquake in 1511 saw most of the city rebuilt in Renaissance style; with later Counter-reformation Jesuit influence bringing Baroque architecture and music to the city in early-1600s. The city was transformed from 95 per cent Protestant to largely Catholic around this time. The city was subsumed into the Austrian Empire in the early-1800s, with a brief four year period as part of the Napoleonic Kingdom of Italy from 1806-1810 at which time it was known as ‘Laibach’. A further 6.1 Richter Scale earthquake in 1895 caused serious damage in the city centre. Rebuilding was in the ‘Viennese Secession’ style, accompanied by development of a public electric lighting system – one of the first in Europe. After the dissolution of the Austro-Hungarian Empire after WWI, Ljubljana became part of the Kingdom of Serbs, Croats and Slovenes. From 1941, Fascist Italy occupied the city, with Nazi Germany taking control in 1943. The city was surrounded, but spared significant war damage, and hence has retained much of its historic fabric – although the city’s built heritage was badly neglected during the Socialist period. After WWII Ljubljana became capital of the Socialist Republic of Slovenia, part of the Socialist Federal Republic of Yugoslavia. It retained this status until Slovenia declared independence in June 1991, following the break-up of Yugoslavia, after an overwhelming 94.8 per cent vote for independence in December 1990. Whilst part of Yugoslavia the city became an important industrial centre, initially for heavy industry, and more recently for petrochemicals, pharmaceuticals and food processing. Although it comprised only about nine per cent of Yugoslavia’s total population, it was the most productive of the Yugoslav republics, accounting for a fifth of its GDP and a third of its exports. It was therefore afforded more leniency and flexibilities by the Socialist Republic than less productive regions. Slovenia was spared the tragedy of civil war that engulfed much of the former Yugoslavia in the early 1990s, with only 10 days of fighting (know as the ‘Ten-Day War’). This was largely due to the fact that Slovenia has not had the same inter-ethnic tensions as much of the rest of former Yugoslavia had had since the 1920s, which had grown quickly as an issue in the decade up to the 1991. Detailed advance planning for military defence and the strength of support from the people for independence meant that the lacklustre and ill-coordinated attempt by the Yugoslavian army to suppress Slovenia’s independence was quickly quashed, with minimal casualties (62 fatalities). Ljubljana now has a population of 280,000, and a metropolitan population is 538,000 (the national population is just over two million). It is a youthful city, with almost 19 per cent of residents aged 14-29, a figure which is more than doubled if the city’s annual resident student population of 63,000 – one of the largest in Europe – is added. It is one of only 22 UNESCO Cities of Literature in the world. Culture is so important to the city that it dedicates 11 per cent of its total municipal budget to it; and 70 per cent of the 14,000 annual cultural and sports events the city organises are free of charge to all. The city’s built form is a distinctive and very pleasant mix of styles, with a Middle Ages urban grain overlain with successive layers of Baroque, Viennese Secession and Cubism. Whilst it is a densely developed city in the centre, it is remarkably permeable, clean and vibrant, with one of the most extensive pedestrian-priority networks of any city in Europe. Considerable investment in clean public transport, more than 40 new public parks, extensive afforestation and other blue and green infrastructure mean that 70 per cent of the land within the city boundaries is permanent greenspace, and no resident is more than a 15 minute walk from this. Quality of life is very high. In 2015, Eurobarometer surveys found that 92 per cent of citizens were satisfied or very satisfied to live in Ljubljana. Based on official crime statistics it is the safest city in the world. All ages of citizens and visitors alike mingle together to enjoy the open spaces, and it feels warm, welcoming and friendly. There is very little evidence of anti-social behaviour, and extensive active frontages with no empty retail units. It is no surprise that Slovenia is one of the most equitable countries in Europe, based on indices from the likes of OECD and the UN – as expressed today by the municipality in a strong belief in fairness and sharing the benefits of economic growth. The current mayor, who has been in office since 2006, came from the private sector and has brought a strong emphasis on developing public-private partnerships, including the city’s new multi-sports stadia campus; the public bike hire scheme; and the development of new neighbourhoods such as the 173 hectare Smartinska district. He has overseen a significant increase in housing permits and investment in existing housing to improve supply and standards (although the team were less impressed by the quality of new social housing they saw than private housing). The new mayor also realised the value of delivering major benefits to the city quickly at the start of each new term, which had taken big risks. For example, he took the decision to remove all traffic from the city centre despite almost 100 per cent opposition from residents, and delivered it to programme and budget – and it now has a 90 per cent resident approval rate. In 2016, Ljubljana was European Green Capital. It won the nomination as the EU stated it had achieved ‘the greatest positive changes in quality of life in a short time’. It was the first ‘Zero Waste’ city in Europe. Its performance on sustainability, environmental excellence and climate change resilience was remarkable, punching well above its weight for a city of its size. Its new Smaga waste reprocessing site was the largest and most efficient in Southern Europe – although the city was so successful in encouraging local recycling and waste minimisation during the five years it was being constructed it was importing waste from other cities and even Austria and Italy to keep the plant operating at an efficient capacity! But the city does not view these awards as just ‘year-long’ titles: they are very clear that green sustainability is a constant path now for the city until it reaches zero carbon status. Slovenia was hit hard by the 2008 fiscal crisis, but GDP has been growing at or above EU average rates since 2015 (currently at 2.9 per cent). GDP in Ljublana is 43 per cent above the national average. Unemployment rates in Ljubljana are lower than national average (9.1 per cent). Ljubljana generates over 35 per cent of Slovenia’s GDP and attracts a significant proportion of all FDI into Slovenia. Educational levels are high and productivity is above Slovenia national averages. However the city realises the need to refocus its economy away from primary and secondary industry, to a higher-value digital and R & D based economy. They also recognise that as a small city they have to innovate to survive and prosper. They feel that they have created a quality of life that is attractive to anyone, but now need to create a core nucleus of employment opportunity to both retain existing skilled talent and attract newcomers to the city from the rest of the world in an ‘ecosystem of innovation’. To achieve this the city, in partnership with the Regional Development Agency, had already established two technology parks, which are now home to almost 300 companies and 1,500 employees. 60 start-ups a year are also supported, plus run 15 EU-funded cross-national projects – making it the largest incubator system in south east Europe. The city owns a 69 per cent stake in the most recent incubator facility, which was built on their own land; the significant loans that the city had taken out to pay for the park have already been repaid and the park was self-financing. Green technologies have been a key focus, building upon the city’s European Green Capital status in 2016, especially renewable energy and sustainable mobility. There are privately owned incubator spaces too. The city is also looking at the direct economic growth opportunities from its renowned creative industries, both in terms of product innovation – building on the city’s successful and long-established industrial roots – plus the positive ‘spillover’ effect into other sectors. A new organisation, ‘Creative Commons’, was established to spearhead the city’s efforts; they have also pioneered crowdfunding in Slovenia, having raised £3.2m over the past three years to support their programmes. The city attracts over two million tourists a year – a phenomenal ratio compared to residents. Yet it does not feel ‘touristy’ or over-pressured. However, the city has recognised the strain on its infrastructure this level of tourism could cause, and have changed strategy and marketing to encourage fewer but longer stays with higher spend per capita. 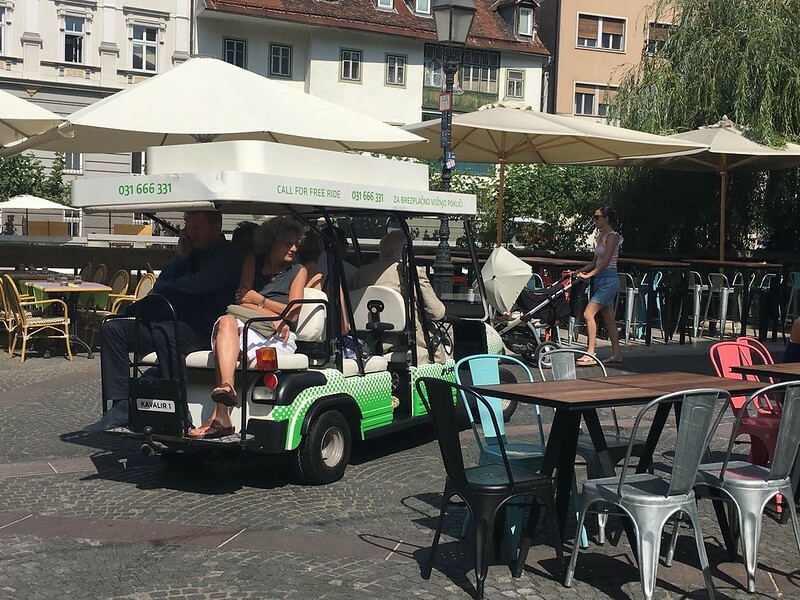 Ljubljana won World Travel and Tourism Council’s ‘Tourism For Tomorrow’ award in 2015 in recognition of their efforts in sustainable tourism. Even more remarkably, the city manages to maintain a student population of 63,000 (equivalent to 22.5 per cent of the permanent resident population) without there being any conflict or issue with anti-social behaviour. Anecdotally this was put down to the extent of local civic stewardship prevailing within the local residents and it conveying a sense of self-policing of urban spaces.